I'm still amazed at the overwhelming response to my last post (A Different Kind of Christmas). So many of you called, or texted or commented on Facebook to let me know I wasn't the only one completely caught off guard by the fact that Christmas is just 10 days away. One very kind soul even offered to come over and help me get my Christmas decorations up around the house! So sweet + thoughtful! That got me thinking - maybe there's hope for the burnt out, the fatigued and the procrastinators among us. The ones who don't have the time or energy to bake Christmas cookies for our neighbors or painstakingly hang tinsel from our Christmas trees (which aren't up yet, by the way) or spend hours at the mall looking for the perfect gift for everyone on our list. And thus, The Procrastinator's Guide to Christmas was born. I've researched a few things to help us all get ready in a jiffy this year. We're a little more than a week away from Christmas, but there's still time for us. We can still have Christmas. In our homes. And most importantly, in our hearts. 1. FREE Digital Photo Cards from RedStamp. This, dear friends, is pure genius. Sheer and utter brilliance. Make sure your Christmas card arrives on time and never spend a dime with Redstamp! 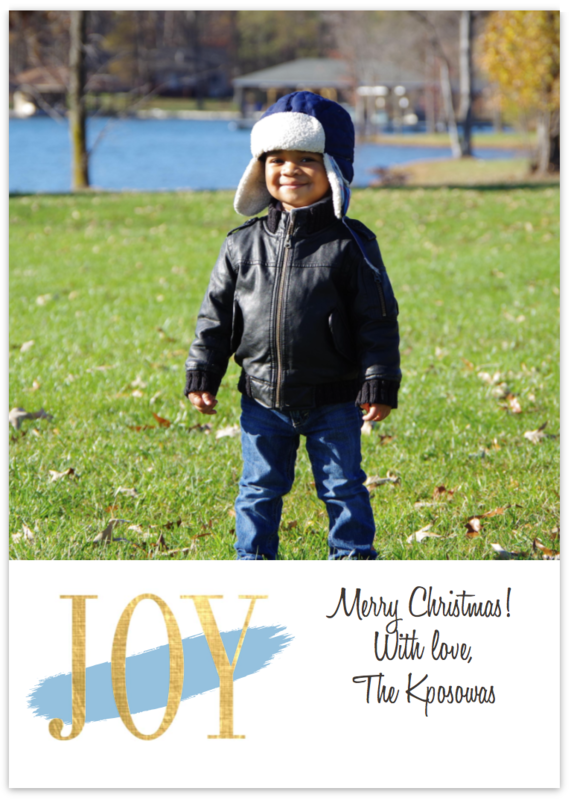 This site offers stunning photo cards you can customize and send electronically to all your family and friends. I know what you're thinking. An eGreeting?! But this is not your mama's eGreeting. They're sleek, designed to impress ... and did I mention they're free?! This is one card you can be sure will get to everyone on your list before Christmas! Simply upload your favorite photo to the site, pick your template of choice (be sure to check out their faux foil selection which I absolutely adore), enter your email addresses and voila! Christmas cheer delivered instantly. It took me less than 10 minutes. Time saver. Money saver. What's not to love? And just in case you decide to go all ambitious and opt for paper cards against your better judgement, RedStamp can mail them for you so they get there in time. Also perfect for Christmas dinner invitations, party invites ... the possibilities are endless. 2. FREE 30-Day Amazon Prime Subscription (for those last-minute gifts!) Just the idea of braving the malls this year makes me want to take a very long, uninterrupted nap. Thankfully, there's Amazon. Why go get Christmas gifts when they can come to you with two-day delivery courtesy of a free, Amazon Prime 30-day subscription? Signing up is easy and painless. Cancel anytime before your 30 days is up and owe nothing. Now, I'm usually leery of free trials because I always forget to cancel, but seriously, you can't beat free, two-day delivery at Christmas. You'll also get free video and music streaming with your trial subscription. And if you decide you love it, the annual fee is only $99. Set an alarm on your phone to cancel (if you need to) and you'll be fine. 4. FREE Advent e-Devotional from John Piper. The most important thing you can do this Christmas is make room in your heart for Jesus. I know the holidays can be tough for a lot of people, myself included. Loss, grief, loneliness and unexplained melancholy often make a surprise appearance this time of year and have an annoying way of overstaying their welcome. But if I've learned anything from the ups and downs of this year, it's that joy is the farthest thing from a feeling. True joy comes from conviction rooted in reality, and the reality is that no matter your circumstances, Christmas offers good news for us all. 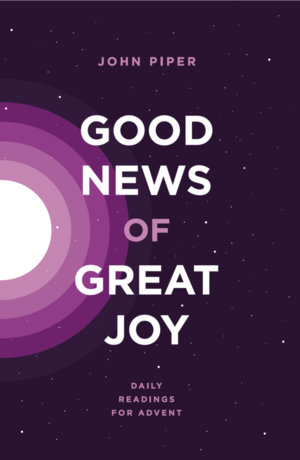 So if you take away nothing else from this post, head on over to Desiring God and download John Piper's free, Advent devotional, "Good News of Great Joy." There's still time to prepare room in your heart. May you find rest for your soul and joy for the journey this Christmas.